Maureen Mullen has covered the Red Sox and Major League Baseball for a variety of outlets since 2002. She is the author of "Diary of a Red Sox Season, 2007" with Johnny Pesky. 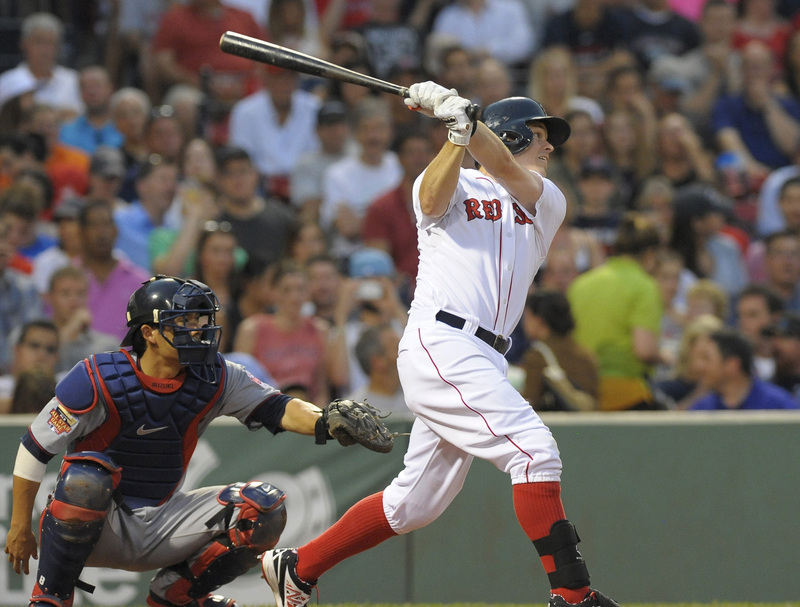 BOSTON � It seems there is nothing Brock Holt can�t do. Never played first base, left field, right field? No problem. Tuesday night he added center field to his resume for the first time and along with that a catch that will stay on his highlight reel likely for the rest of his career. If that wasn�t enough he scored the Red Sox only runs of the game, on the way to a 2-1 win over the Twins at Fenway Park. Holt went 2-for-4 with a double, two runs scored, and a stolen base. He led off the game with a single, taking second on Xander Bogaerts� groundout, and scoring on Dustin Pedroia�s double to center. In the third Holt led off with a double, taking third on a stolen base, his fifth of the season, tying him for the team lead (with Grady Sizemore), and scoring on Bogaerts� sacrifice fly. But it was his play to end the top of the third that was the stunner. With two outs, Brian Dozier lofted a ball to left field that Jonny Gomes lost in the lights at twilight, as shortstop Stephen Drew attempted to point it out to him. Holt, sprinting over from center, made a diving, tumbling catch about 20 yards behind Gomes to end the inning. Jon Lester, watching from the mound, appeared dumbfounded � and impressed � as he watched the play unfold. Prior to that play, Holt had had just one opportunity in center, on Danny Santana�s single to open the game. Lester was the beneficiary of Holt�s outing, earning the win to improve to 8-7 as his ERA fell from 3.33 to 3.20. Lester went 6 1/3 innings, giving up one run on four hits and a walk with six strikeouts. That he was able to go that deep in the game, was surprising, and a testament to the lack of offense the Twins supplied. Lester started off with a shaky first inning, needing 33 pitches, 21 for strikes. By comparison, in his last outing, Thursday against the Indians, he needed just eight pitches, all strikes in the first inning. Lester opened the game by allowing an 11-pitch single to Santana. With two outs in the inning he gave up a nine-pitch walk to Josh Willingham. But, he managed to get out of the inning without giving up any runs. He recovered to strike out the side in the second, needing just 14 pitches. He cruised through much of the rest of his outing, but gave up a run in the sixth when Santana led off with double, taking third on Dozier�s sacrifice bunt, and scoring on Joe Mauer�s double. But that was all the Twins could muster. The Sox bullpen � Burke Badenhop, Craig Breslow, Junichi Tazawa, and Edward Mujica � combined to keep the Twins hitless the rest of the way, with Mujica earning his second save of the season and first since April 11. Phil Hughes took the loss, falling to 7-3. He went eight innings, giving up two runs on eight hits with no walks and six strikeouts.